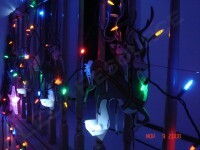 One of the places where LEDs are really capable of competing with incandescent lights is holiday lights! Nothing brings on the warm holiday spirit as well Christmas lights, but unfortunately, this often comes at the cost of a higher energy bill. With up to 90% energy savings, LEDs are the ideal choice to replace your old incandescent light sets. 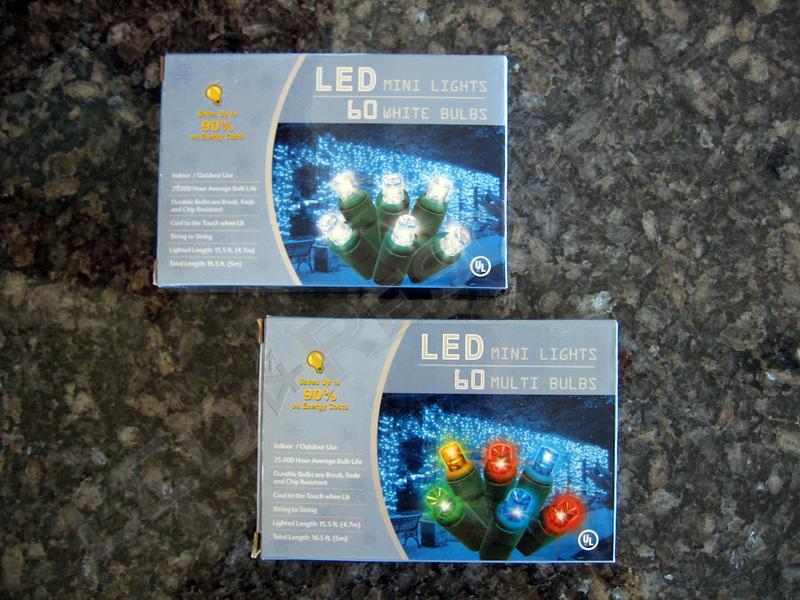 Read on to find out why LED holiday lights should be on your shopping list for this year! That comes out to only $0.03 per day! Not only are bulb failures costly, but they can also be a hassle, especially for sets of lights that do not stay on when a bulb burns out. In addition, if faulty bulbs are not replaced quickly, the rest of the bulbs may burn out faster because of increased voltage. LED failures are rare, and they generally last for at least 50,000 hours, at which point they will gradually start getting dimmer. Using a very conservative estimate of 25,000 hours, a set of LED holiday lights will easily last over 30 holiday seasons if they are turned on continuously for one month a year. Incandescent bulbs are made from glass, making them prone to breakage. 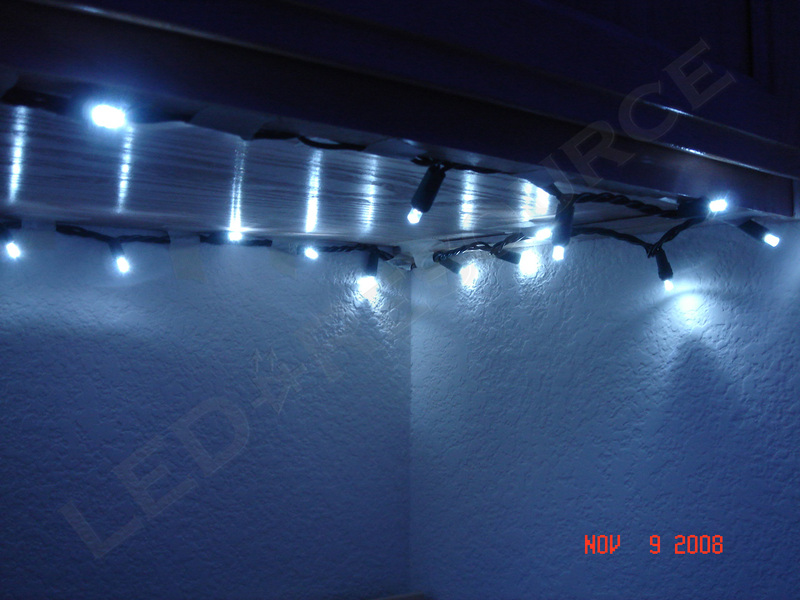 LEDs are solid state devices, meaning that there are no parts inside to break. As such, dropping LED lights or even running them over with a car is not likely to damage the bulbs (of course, it’s still not recommended to try these things as bulb sockets and wires are not as durable!). Incandescent bulbs produce lot of heat, and after a couple minutes, they often are too hot to touch. As such, they can be fire hazards, especially when installed on trees. LEDs are cool when operating, even after many hours. One caveat to note is that LED light sets often have resistors installed, which can get mildly warm. Incandescent bulbs produce a wide range of light, and painting the bulb is done to change the color by allowing only a specific color to pass through. This reduces the brightness of the bulb. 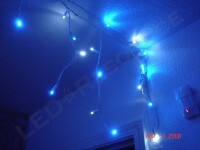 Instead of using colored paint to change the color of the light, colored LEDs are made from different materials. 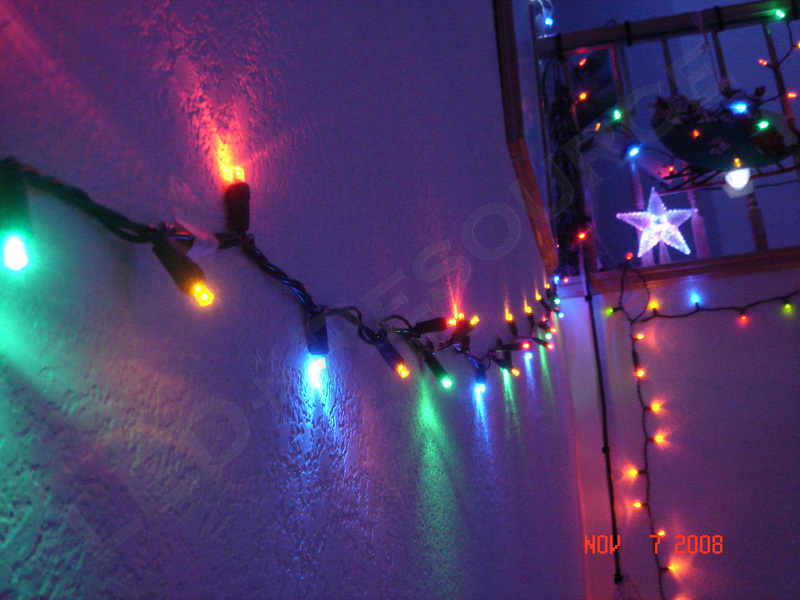 LEDs produce light in a narrow spectrum, which leads to more intense and vivid colors. 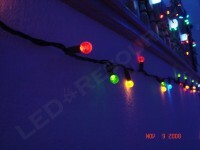 Coloring the LED’s plastic isn’t necessary, but is commonly done to help identify the LED’s color when off. As with most new technology, cost is usually a problem. 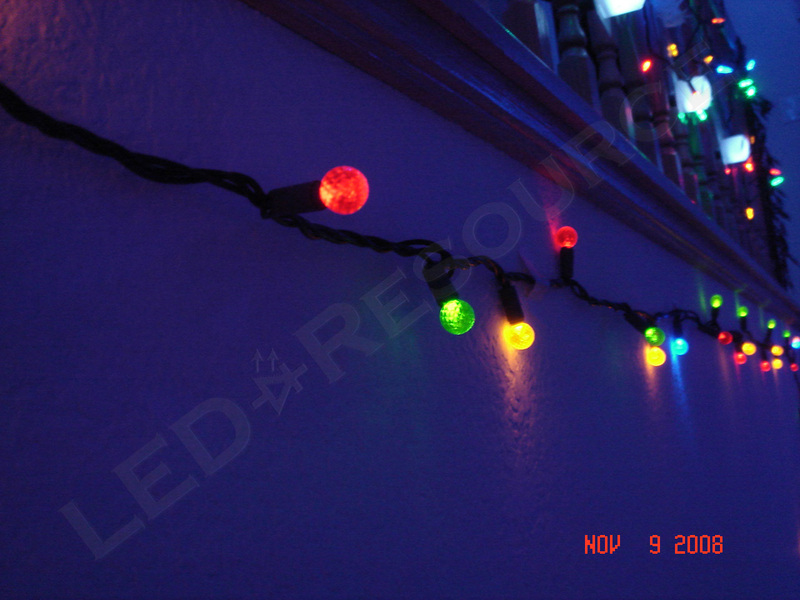 As LED holiday lights have become more popular, their price has come down by quite a bit since they were first introduced around 2004. 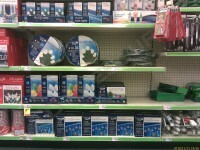 Still, they are usually two to three times more expensive than incandescent. Considering the bulb life of LED sets and the energy savings, LED holiday lights will be a good investment. Unlike incandescent, LEDs have polarity. If current is applied in the wrong direction, the LED will not light. The standard alternating current power has a frequency of 60 Hz, meaning that it changes current direction 60 times per second, and this causes the LEDs to flash 60 times per second. 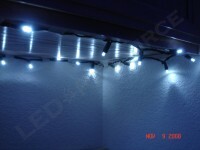 Some more expensive LED light sets have a rectifier, which will stop the flicker, but the majority of light sets do not have one. Generally speaking, this isn’t a deal-breaker for most people as 60 Hz is barely noticeable. LED holiday lights offer many advantages compared to incandescent light sets, and as with anything, there are some drawbacks. In this case, the benefits certainly outweigh the disadvantages, making LEDs an ideal replacement for incandescent bulbs. 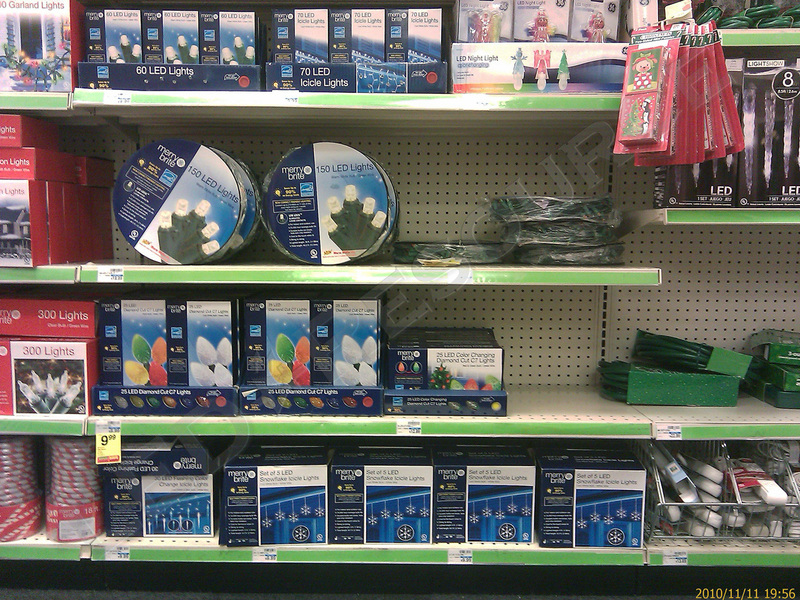 The picture above is a selection of LED lights at a small CVS store in California in early November 2010. 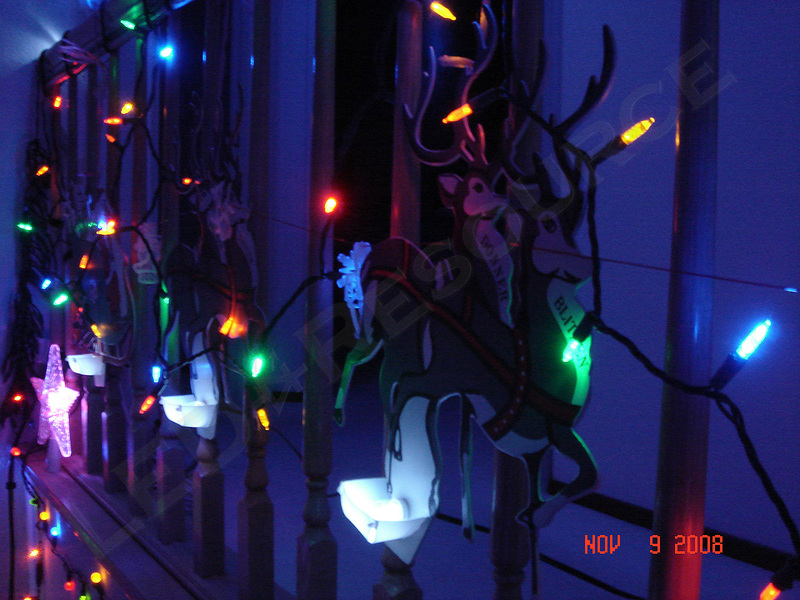 Most of the pictures in this guide were from my 2008 Christmas decorations (featuring a total of over 800 LEDs), and the varieties of LED lights in stores has greatly expanded since then. 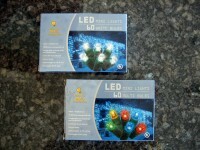 LED light sets can be found in many major retailers, including Target, Wal-Mart, Rite-Aid, CVS, and more.